Wrote a song earlier this week. Most of the songs I’ve written over the last several weeks have been a bit on the sad, pensive side. So I wanted to write something happy. So, since I’m trying to crank out a song every day, I figured I’d turn off my cheese filter (the thing in my brain that filters out anything cheesy), and just try to write something fun. Fast forward to this morning. I’ve got a live training session this afternoon, and I needed to pick a song for it. I played my iPhone recording of this cheesy, happy song for Pam to get her take on it. Oh boy. Here it comes. It appears that leaving some of the cheese in the song didn’t kill it after all. If you do what I do, and never allow yourself to try stuff in the studio that might be a little cheesy, you might miss out on something great. 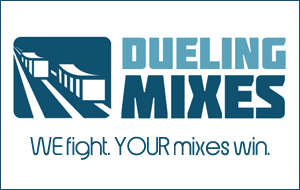 Oh, and if you haven’t watched my video of how I mixed this month’s song over at Dueling Mixes, you should check it out. I show you a way of taking a pretty simple guitar part and “cheesing it up” with some crazy, simple effects. When I blend the cheese back in with the rest of the mix, it’s actually really cool.